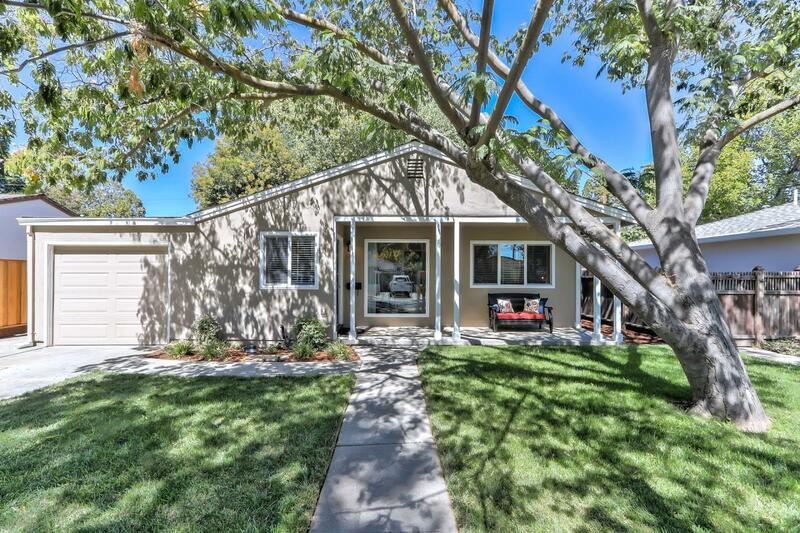 Spacious, newly remodeled home in desirable, quiet Willow Glen neighborhood. Features 3 large bedrooms and 2.5 updated contemporary bathrooms. Completely redone kitchen includes white cabinets, quartz countertops, stainless steel dishwasher, frig, new range/oven, and microwave. Large, open living/dining room and separate family room with fireplace. New light fixtures and recessed lighting. Beautiful grey wide-plank flooring and dual pane windows throughout. Freshly painted interior and exterior. Relax in the serene, landscaped front and back yards. Alarm system ready. Great location close to freeway access, shopping, parks, schools (Schallenberger Elementary, Willow Glen Middle/HS, St. Christopher, Presentation High School). Short drive to the new Google SJ campus, Adobe, Apple, eBay and HP Enterprise. Don't miss this move-in ready home!